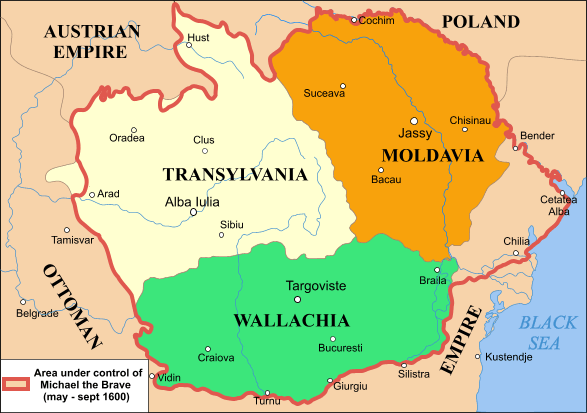 Below are two maps of Transylvania. One is from 1600 when Michael the Brave united the three principalities of Transylvania, Wallachia and Moldavia- they would one day unite and become the Kingdom of Romania after the end of World War I. 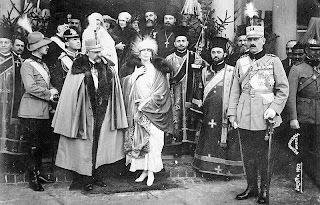 This is an important historical date in the history of Transylvania- it was as close to becoming independent as it would ever be. Afterwards it would become more linked with the Kingdom of Hungary and then Austrian Empire until 1919. 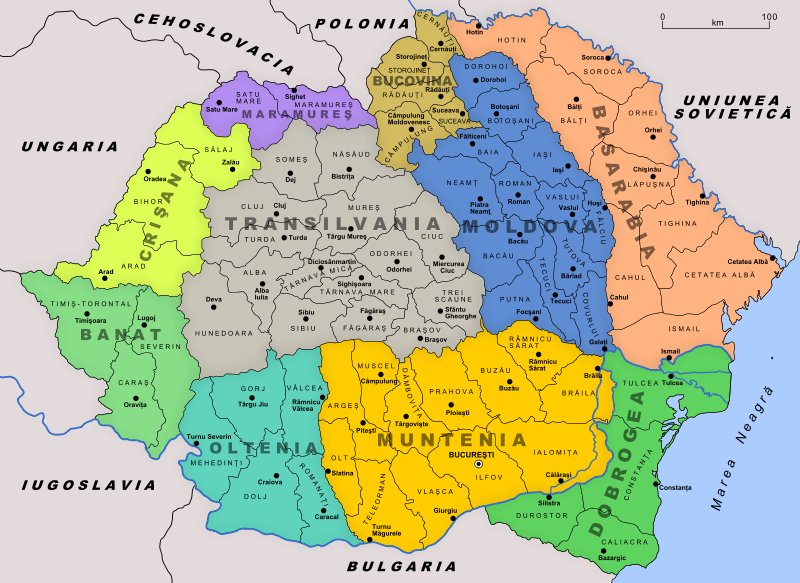 Below is the map of Greater Romania shown after it gained its territory from the First World War. 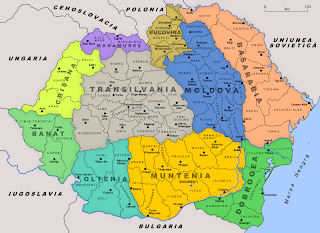 It is very interesting to note that Transylvania is not as close to the Hungarian borders, but that most people simply call the two smaller provinces ( in particular the Banat) a part of Transylvania. This is where Transylvania is on the map. This would also be the map that the Romanian Royal family would know until 1940 and the beginning of the Second World War. It is worth noting that many people do not see Transylvania as being so small, and that since they are used to thinking about Romania as being larger, they tend to forget that Transylvania proper is in fact the grey area in the map below. it it also because of the many connections with the Royal families of several countries that Transylvania has so many castles, and also why people seem to think that Romania and Transylvania are larger. 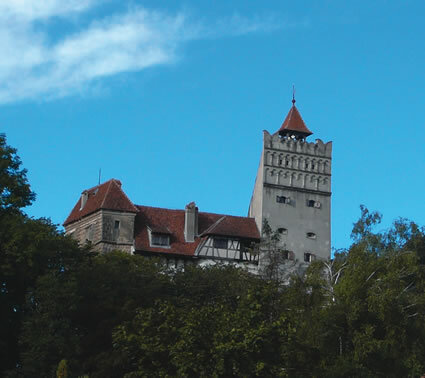 Below is the more famous of all the many castles that is associated with Romania and Transylvania. You Can read more on Amazon.com about Transylvania. Love to know more, will you expand on this post please?